Nate likes grits a lot but I haven't been super keen on them. This is mostly because I have only known them as a breakfast item which are little on the thinner side. Since moving to FL I have had a few meals for dinner involving grits that I have loved. 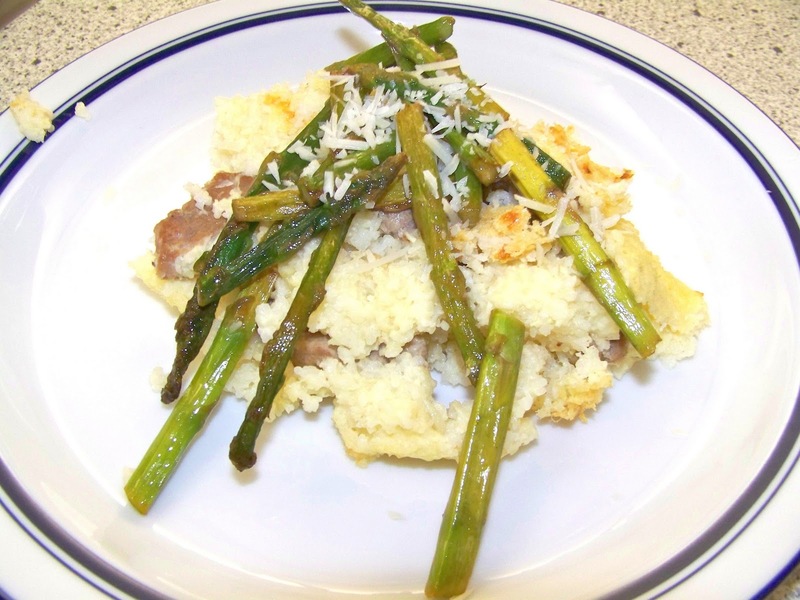 The grits in these meals have had a thicker consistency and are usually cheesier. Since I seemed to have found the way I like grits (and since they are such a great option if you can't eat wheat) I decided to give a few recipes a try. This one is a basic recipe that I adapted from About.com. Wash the asparagus and trim the hard ends off. Microwave for about 2 minutes or until the asparagus is slightly softened. In a medium sauce pan heat up the butter. Add the asparagus and a dash of salt and pepper to to the saucepan and, while keeping the asparagus moving, slightly brown the asparagus. Drizzle with lemon juice and cook for a minute more. Top the grits with the asparagus and Enjoy! You have an adorable blog. I must say, as a native Southerner, grits should never be thin. Not even at breakfast. Try Shrimp and Grits if you haven't and you will have another great grits meal. Oh, please never,ever put white sugar or brown sugar on grits. Never, ever. Thanks for the advice! Shrimp and grits is actually the reason why I gave it a second chance. A restaurant near us has a very addictive version.